My lovely wife, who fully supports my hobby and likes all my wargaming friends, has been for months trying to get a reporter for the News and Record to do a story on the Eden War Room. She finally succeeded two weeks ago. Apologies who already heard about this on the BGG. Added two new countries to the game: Italy and Belgium. The Eden War Room in the Newspaper. My wife's reporter friend has been interested in doing a story on our War Room, and it was published today. She fortunately picked a very busy day - 8 of us playing that day. Usually it is just 4 or 5 of us. This day of gaming also included a reunion of the Bayside High School class of '82 wargamers - all 3 of us. 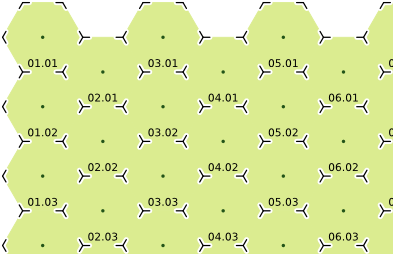 lakes tiles may represent lakes or fjords, for example. Africa might be called the Dark Continent because it's a giant blindspot to most people. We get used to the disease, famine, natural disasters, and the manmade abuses, the violence, even the genocide in Africa. After a while, it seems to be a matter of "What's another starving kid with a distended belly?" Or "What are a few thousand people chopped up by machetes among friends?" Made excellent headway today. Rules are pretty solid now and ready to go. Updated discovery cards, completed all but one chart, and just need to finish up those couple new event cards. Most if not all of which should be finished tomorrow. Should definitely be starting the alpha play-testing by the weekend, if not sooner!! Gotta try and get a game group together. "A Most Dangerous Time," MMP's new IGS game arrived! Woo hoo! This is the game I've been looking for to compliment "Samurai" and "Ran" (GMT), to put those battles into some kind of strategic perspective. The components to AMDT are fantastic: a beautiful Mark Mahaffey map, nicely cut colorful counters, full-color rulebook, and poker-quality playing cards. But where's the standard player aid card(s)? Major Stephen Hutchison of Scottsdale AZ became, at age 60, the oldest American service person to die in action in Iraq. Major Hutchison was a Vietnam veteran who rejoined the Army in the wake of 9/11. His wife objected, so he waited until her death to rejoin. Mr.J and I will travel to Windsor, Ontario this summer to see the restoration of this famous British warbird. There is a long history of this plane, as it was purchased by the now-deceased uncle of one of Mr. J's friend who resides in the UK. Hopefully we will have an inside look-see.